Photo: Lewis-McCloud House, ca. 1927, Cornstalk Heights Historic District, Harriman, TN. 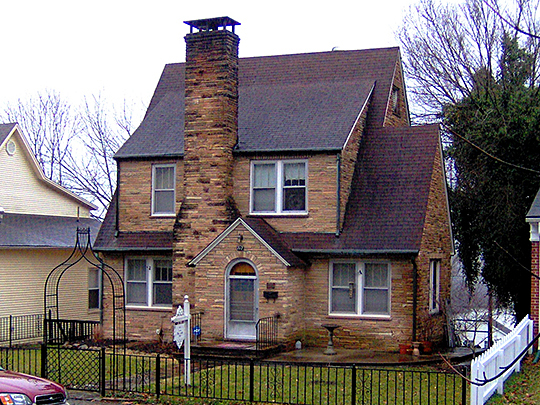 The Cornstalk Heights Historic District was listed on the National Register of Historic Places in 1990. Photographed by User:Brian Stansberry (own work), 2010, [cc-by-3.0 (creativecommons.org/licenses/by/3.0)], via Wikimedia Commons, accessed July, 2013. The Roane County Courthouse is located at 200 East Race Street, Kingston, TN 37763; phone: 865-376-5556. Roane County was created in 1801. It was named for Tennessee's second governor, Archibald Roane [1760-1819].